We enjoyed a visit to the highest spot in Derby the other day, the 212ft Derby Cathedral Tower. While the 189 steps up the circular and very narrow stairwell provided a good workout for the legs (as well as an excellent test for vertigo! ), the views at the top were stunning. We were filming for Marketing Derby's new video showcasing the work the agency does attracting inward investment into the city. 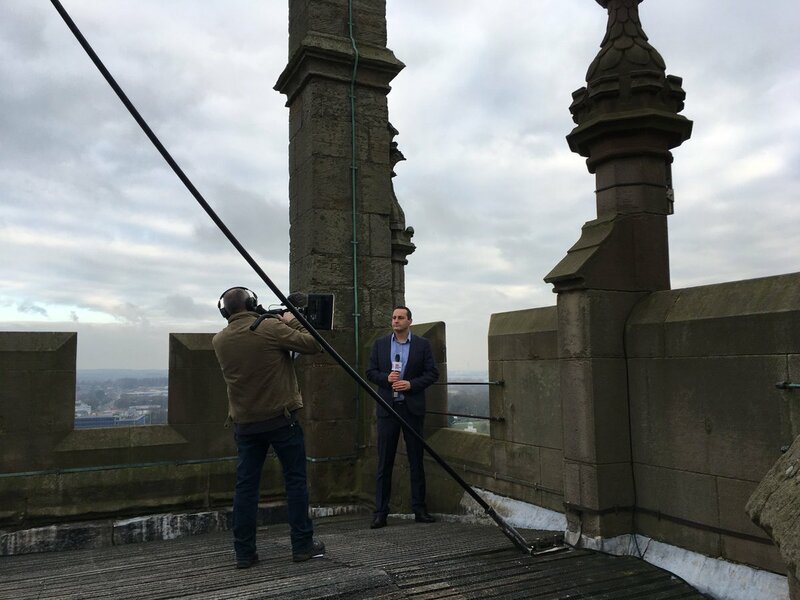 We shot at six locations during the day, highlighting some of the great things that are happening in the city - and there is no finer place to see it than the top of the Tower.